Dedication, collaboration and hard work are the hallmarks of my medical research career focused on providing novel insights into some of the most common and devastating types of cancer; acute myeloid leukaemia (AML), paediatric T cell acute lymphoblastic leukaemia, breast and prostate cancers. My PhD program of research was achieved by publication, with distinction, in less than three years and decorated by eleven national and international research awards. During which I was fortunate to be mentored by two of the Universities most respected scientists in Prof. John Aitken and Prof. Brett Nixon. The significant contributions made to my field by PhD resulted in my dissertation being awarded the Annual Vice Chancellors Award for Research High Degree Excellence (2012), and has subsequently laid the foundations for me to achieve my ambitions of developing a successful and internationally competitive research program here at the University of Newcastle and the Hunter Medical Research Institute (HMRI). My research program in collaboration with Dr Nicole Verrills and Dr Anoop Enjeti is focused on developing new anti-leukaemia drugs synthesised in collaboration with the UNSW Chemistry Department (Prof Morris). This targeted anti-cancer approach is complemented by a program of discovery research focused on furthering our understandings into how common gene mutations regulate growth, survival and proliferation in cancer cells.This work is funding by the Cancer Institute of NSW whom awarded me an esteemed Early Career Research Fellowship 2014-2016 ('Identifying novel therapeutic targets for the treatment of acute myeloid leukaemia (AML)'). I am also interested in cellular signalling regulated by growth factors in stem cells and have a program of research studying the molecular switch from quiescences to activation regulated by protein phosphatases. I have been very fortunate to receive the support of the HMRI whose public advocacy has helped to develop my research program. Specifically, generous support from the Life Governor of the HMRI Jennie Thomas and Mrs Alyson Gearing has enabled me to study and work in the laboratories of field leading scientists in Belgium and Denmark. Further, the Estate of the Late Mr James Scott Lawrie and the Hunter Ski Club Project Grants has enabled me to continue my work into developing new treatments for AML and other paediatric blood diseases. I am very fortunate to have extensive national and international collaborators with field leading scientists and haematologists. These opportunities provide my group with access to the world's most sophisticated technologies and relevant patient samples. These technologies are bridging the very large gap that currently exists between cancer genomics and proteomics. Our sophisticated studies are helping to identify new bona fide biomarkers for the development of new-targeted therapies to treat AML, ALL, breast cancers and prostate cancer. My goal is to continue to attract talented students to join my research program while continuing to generate the required research funding to enable us to translate our important medical discoveries into new treatments options for cancer patients. If you are interesting in joining my team or supporting my research please contact me at: Matt.Dun@newcastle.edu.au. Since the completion of my PhD I have commenced my postdoctoral training within the Faculty of Health and Medicine Priority Research Centre for Cancer Research at the Hunter Medical Research Institute (HMRI), associated with the Hunter Cancer Research Alliance (HCRA) and in collaboration with the Calvary Mater Hospital Medical Oncology Department. My Research Program is focused on elucidating the biochemical mechanisms that underpin novel anti-cancer therapies for improved treatment of acute myeloid leukaemia (AML), paediatric T cell acute lymphoblastic leukaemia (T ALL), breast and prostate cancers. In this context, my technical strengths in many aspects of cell analysis, including: characterisation of protein expression, proteomic profiling including iTRAQ and SILAC, phosphoproteomics, DNA mutational analysis, cellular imagery, identification of protein-protein interactions via Co-immunoprecipitation, Far-Western blotting and Blue Native PAGE, cell culture, functional assays and the generation of recombinant proteins and polyclonal antibodies has been recognised. My ever growing knowledge and skill base has benefited from close association with national and international colleagues. Funding in 2015 enabled me to conduct leukaemia genomics and animal training at the VIB KU Leuven in Belgium, and funding from 2013 and 2014 has enabled me to spend three months working at Institut for Biokemi og Molekylær Biologi at the Syddansk Universitet where I worked with experts in proteomic assays, including phosphoproteomics, membrane proteomics, glycoproteomics, iTRAQ and SILIC. These phosphoproteomics studies utilised Hunter AML patients samples and is allowing us to determine the role oncogenic signalling has on growth and survival of the cancer which will help us identify novel treatment targets and identify the disease causing mutations that are associated with recurrent DNA mutations These complex investigations are aimed at unravelling the pathogenesis of disease, with the resulting data providing us with a better understanding of each condition. Following this sabbatical I was fortunate to present my work on AML at the American Association of Cancer Research in Washington DC. • 2012 - 2014: Lecturer, HUBS1202 Human Genomics and Biomolecular Analysis. • 2012 - : Head Tutor, HUBS3302 Bioinformatics and Functional Genomics. • • 2011: Lecturer and Head Demonstrator, BIOL2020 Animal Physiology & Development. • 2011: Head Demonstrator, BIOL3020 Reproductive Physiology & Development head demonstrator. • 2011: Demonstrator, BIOL3001 Advanced Laboratory Skills. • 2010: Lecturer and Head Demonstrator, BIOL2020 Animal Physiology & Development. • 2010: Head Demonstrator, BIOL3020 Reproductive Physiology & Development head demonstrator. • 2010: Demonstrator, BIOL3001 Advanced Laboratory Skills. • 2009: Head Demonstrator, BIOL2020 Animal Physiology & Development. • 2009: Head Demonstrator, BIOL3020 Reproductive Physiology & Development head demonstrator. • 2009: Demonstrator, BIOL3001 Advanced Laboratory Skills. I am a lecturer for the Bachelor of Biomedical Science degree specifically, HUBS1202 Human Genomics and Biomolecular Analysis and HUBS3302 Bioinformatics and Functional Genomics. During my PhD I carried a significant teaching load, lecturing 2nd year Physiology for Biotech/Science students and spending almost 500 hours as Laboratory Head Demonstrator. Also during my studies I played Rugby Union for the University of Newcastle and was awarded runner up for Sports Person of the Year, awarded a University Blue and represented NSW in rugby union for five consecutive years. I was also awarded the Representative Player of the Year for the Newcastle and Hunter Rugby Union and in the same year was awarded the NSW Country Rugby Union Championships Player of the Tournament. • Dr Nicole Verrills Medical Biochemistry, The University of Newcastle and HMRI. • Dr Anoop Enjeti, Clinical Haematologist, The Calvary Mater Hospital. • Dr Andrew Wei, Clinical Haematologist, The Alfred Hospital and Monash University. • Prof Jan Cools and Dr Charley De Bock at the Department of Human Genetic VIB KU Leuven Belgium. • Prof Martin Larsen, Institute of Biochemistry and Molecular Biology, The University of Southern Denmark. • Prof Steve Ackland, Dr Jenntte Sakoff and Dr Jayne Gilbert, Medical Oncology, The Calvary Mater Hospital and HMRI. • Prof Hubert Hondermarck, Professor of Medical Biochemistry, The University of Newcastle. • Prof Jonathan Morris and Hamish Toop, Chemistry Department, University of New South Wales. • Prof Richard Locke, Dr Anthony Don and Dr Anchit Khanna Lowy Cancer Research Centre, Prince of Wales Clinical School, Faculty of Medicine, The University of New South Wales. • Prof Jenny Martin, Clinical Pharmacologist, The Calvary Mater Hospital, The University of Newcastle and HMRI. • Prof Brett Nixon, Reproductive Science Group, The University of Newcastle and HMRI. • A/Prof Brett Nixon, Reproductive Science Group, The University of Newcastle and HMRI. © 2018 Elsevier Inc. Background: Circulating tumour DNA (ctDNA) has emerged as an excellent candidate for the future of liquid biopsies for many cancers. There has been growing interest in blood-based liquid biopsy because of the potential of ctDNA to produce a noninvasive test that can be used for: the diagnosis of colorectal cancer, monitoring therapy response, and providing information on overall prognosis. The aim of this review was to collate and explore the current evidence regarding ctDNA as a screening tool for colorectal cancer (CRC). Methods: A systematic review of published articles in English over the past 20 y was performed using Medline, Embase, and Cochrane databases on May 23, 2017. After a full-text review, a total of 69 studies were included. Two assessment tools were used to review and compare the methodological quality of these studies. Results: Among the 69 studies included, 17 studies reviewed total cfDNA, whereas six studies looked at the DNA integrity index and 15 focused on ctDNA. There were a total of 40 studies that reviewed methylated cfDNA with 19 of these focussing specifically on SEPT9. Conclusions: The results of this review indicate that methylated epigenetic ctDNA markers are perhaps the most promising candidates for a blood-based CRC-screening modality using cell-free (cf) DNA. Methylated cfDNA appears to be less specific for CRC compared to ctDNA; however, they have demonstrated good sensitivity for early-stage CRC. Further research is required to determine which methylated cfDNA markers are the most accurate when applied to large cohorts of patients. In addition, reliable comparison of results across multiple studies would benefit from standardization of methodology for DNA extraction and PCR techniques in the future. Copyright © 2018 Endocrine Society The central characteristic of uterine fibroids is excessive deposition of extracellular matrix (ECM), which contributes to fibroid growth and bulk-type symptoms. Despite this, very little is known about patterns of ECM protein expression in fibroids and whether these are influenced by the most common genetic anomalies, which relate to MED12. We performed extensive genetic and proteomic analyses of clinically annotated fibroids and adjacent normal myometrium to identify the composition and expression patterns of ECM proteins in MED12 mutation-positive and mutation-negative uterine fibroids. Genetic sequencing of tissue samples revealed MED12 alterations in 39 of 65 fibroids (60%) from 14 patients. Using isobaric tagged-based quantitative mass spectrometry on three selected patients (n = 9 fibroids), we observed a common set of upregulated (.1.5-fold) and downregulated (,0.66-fold) proteins in small, medium, and large fibroid samples of annotated MED12 status. These two sets of upregulated and downregulated proteins were the same in all patients, regardless of variations in fibroid size and MED12 status. We then focused on one of the significant upregulated ECM proteins and confirmed the differential expression of periostin using western blotting and immunohistochemical analysis. Our study defined the proteome of uterine fibroids and identified that increased ECM protein expression, in particular periostin, is a hallmark of uterine fibroids regardless of MED12 mutation status. This study sets the foundation for further investigations to analyze the mechanisms regulating ECM overexpression and the functional role of upregulated ECM proteins in leiomyogenesis. © 2018 Macmillan Publishers Limited, part of Springer Nature. All rights reserved. Mutations in the interleukin-7 receptor (IL7R) or the Janus kinase 3 (JAK3) kinase occur frequently in T-cell acute lymphoblastic leukemia (T-ALL) and both are able to drive cellular transformation and the development of T-ALL in mouse models. However, the signal transduction pathways downstream of JAK3 mutations remain poorly characterized. Here we describe the phosphoproteome downstream of the JAK3(L857Q)/(M511I) activating mutations in transformed Ba/F3 lymphocyte cells. Signaling pathways regulated by JAK3 mutants were assessed following acute inhibition of JAK1/JAK3 using the JAK kinase inhibitors ruxolitinib or tofacitinib. Comprehensive network interrogation using the phosphoproteomic signatures identified significant changes in pathways regulating cell cycle, translation initiation, mitogen-activated protein kinase and phosphatidylinositol-4,5-bisphosphate 3-kinase (PI3K)/AKT signaling, RNA metabolism, as well as epigenetic and apoptotic processes. Key regulatory proteins within pathways that showed altered phosphorylation following JAK inhibition were targeted using selumetinib and trametinib (MEK), buparlisib (PI3K) and ABT-199 (BCL2), and found to be synergistic in combination with JAK kinase inhibitors in primary T-ALL samples harboring JAK3 mutations. These data provide the first detailed molecular characterization of the downstream signaling pathways regulated by JAK3 mutations and provide further understanding into the oncogenic processes regulated by constitutive kinase activation aiding in the development of improved combinatorial treatment regimens. © 2017 Informa UK Limited, trading as Taylor & Francis Group. Introduction: Genomic and transcriptomic profiling of tumours has revolutionised our understanding of cancer. However, the majority of tumours possess multiple mutations, and determining which oncogene, or even which pathway, to target is difficult. Proteomics is emerging as a powerful approach to identify the functionally important pathways driving these cancers, and how they can be targeted therapeutically. Areas covered: The authors provide a technical overview of mass spectrometry based approaches for proteomic profiling, and review the current and emerging strategies available for the identification of dysregulated networks, pathways, and drug targets in cancer cells, with a key focus on the ability to profile cancer kinomes. The potential applications of mass spectrometry in the clinic are also highlighted. Expert opinion: The addition of proteomic information to genomic platforms¿¿proteogenomics¿¿is providing unparalleled insight in cancer cell biology. Application of improved mass spectrometry technology and methodology, in particular the ability to analyse post-translational modifications (the PTMome), is providing a more complete picture of the dysregulated networks in cancer, and uncovering novel therapeutic targets. 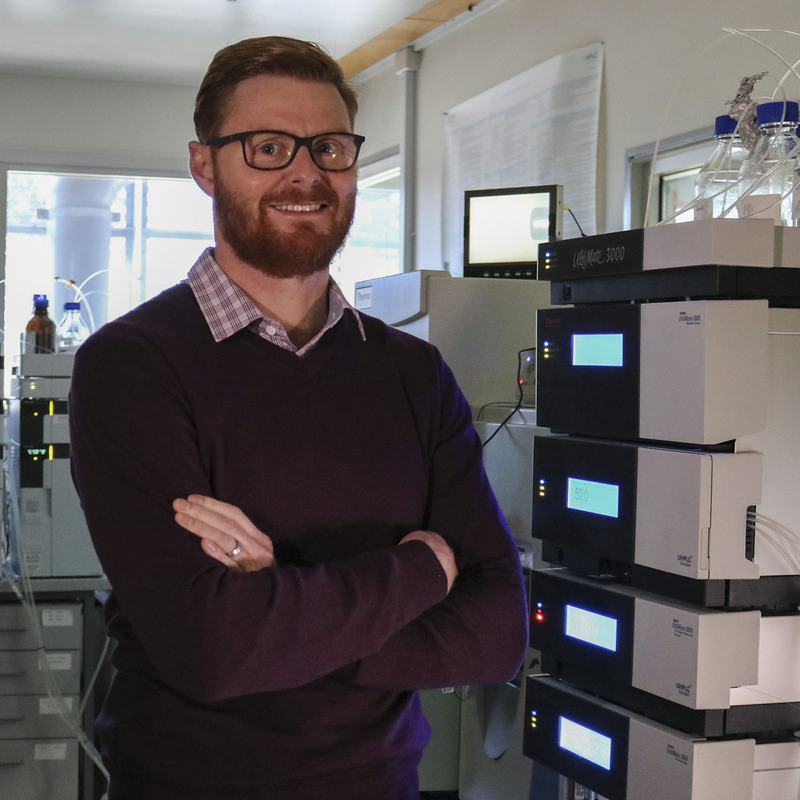 While the application of proteomics to discovery research will continue to rise, improved workflow standardisation and reproducibility is required before mass spectrometry can enter routine clinical use. © 2017 Taylor & Francis Group, LLC. Post-testicular sperm maturation and storage within the epididymis is a key determinant of gamete quality and fertilization competence. Here we demonstrate that mouse spermatozoa possess a complex small non-protein-coding RNA (sRNA) profile, the composition of which is markedly influenced by their epididymal transit. Thus, although microRNAs (miRNAs) are highly represented in the spermatozoa of the proximal epididymis, this sRNA class is largely diminished in mature spermatozoa of the distal epididymis. Coincident with this, a substantial enrichment in Piwi-interacting RNA (piRNA) abundance in cauda spermatozoa was detected. Further, features of cauda piRNAs, including; predominantly 29¿31 nts in length; preference for uracil at their 5&apos; terminus; no adenine enrichment at piRNA nt 10, and; predominantly mapping to intergenic regions of the mouse genome, indicate that these piRNAs are generated by the PIWIL1-directed primary piRNA production pathway. Accordingly, PIWIL1 was detected via immunoblotting and mass spectrometry in epididymal spermatozoa. These data provide insight into the complexity and dynamic nature of the sRNA profile of spermatozoa and raise the intriguing prospect that piRNAs are generated in situ in maturing spermatozoa. Such information is of particular interest in view of the potential role for paternal sRNAs in influencing conception, embryo development and intergenerational inheritance. © 2017, Springer Science+Business Media, LLC. Purpose: Protein phosphatase 2A (PP2A) is a family of serine/threonine phosphatases that regulate multiple cellular signalling pathways involved in proliferation, survival and apoptosis. PP2A inhibition occurs in many cancers and is considered a tumour suppressor. Deletion/downregulation of PP2A genes has been observed in breast tumours, but the functional role of PP2A subunit loss in breast cancer has not been investigated. Methods: PP2A subunit expression was examined by immunohistochemistry in human breast tumours, and by qPCR and immunoblotting in breast cancer cell lines. PP2A subunits were inhibited by shRNA, and mutant PP2A genes overexpressed, in MCF10A and MCF7 cells, and growth and signalling in standard and three-dimensional cultures were assessed. Results: Expression of PP2A-Aa, PP2A-Ba and PP2A-B&apos;a subunits was significantly lower in primary human breast tumours and lymph node metastases, compared to normal mammary tissue. PP2A-Aa and the regulatory subunits PP2A-Ba, -Bd and -B&apos;¿ were also reduced in breast cancer cell lines compared to normal mammary epithelial cells. Functionally, shRNA-mediated knockdown of PP2A-Ba, -B&apos;a and -B&apos;¿, but not PP2A-Aa, induced hyper-proliferation and large multilobular acini in MCF10A 3D cultures, characterised by activation of ERK. Expression of a breast cancer-associated PP2A-A mutant, PP2A-Aa-E64G, which inhibits binding of regulatory subunits to the PP2A core, induced a similar hyper-proliferative phenotype. Knockdown of PP2A-Ba also induced hyper-proliferation in MCF7 breast cancer cells. Conclusion: These results suggest that loss of specific PP2A regulatory subunits is functionally important in breast tumourigenesis, and support strategies to enhance PP2A activity as a therapeutic approach in breast cancer. © The Royal Society of Chemistry. AAL(S), the chiral deoxy analog of the FDA approved drug FTY720, has been shown to inhibit proliferation and apoptosis in several cancer cell lines. It has been suggested that it does this by activating protein phosphatase 2A (PP2A). Here we report the synthesis of new cytotoxic analogs of AAL(S) and the evaluation of their cytotoxicity in two myeloid cell lines, one of which is sensitive to PP2A activation. We show that these analogs activate PP2A in these cells supporting the suggested mechanism for their cytotoxic properties. Our findings identify key structural motifs required for anti-cancer effects. Constitutive activation of the receptor tyrosine kinase Fms-like tyrosine kinase 3 (FLT3), via co-expression of its ligand or by genetic mutation, is common in acute myeloid leukemia (AML). In this study we show that FLT3 activation inhibits the activity of the tumor suppressor, protein phosphatase 2A (PP2A). Using BaF3 cells transduced with wildtype or mutant FLT3, we show that FLT3-induced PP2A inhibition sensitizes cells to the pharmacological PP2A activators, FTY720 and AAL(S). FTY720 and AAL(S) induced cell death and inhibited colony formation of FLT3 activated cells. Furthermore, PP2A activators reduced the phosphorylation of ERK and AKT, downstream targets shared by both FLT3 and PP2A, in FLT3/ITD+ BaF3 and MV4-11 cell lines. PP2A activity was lower in primary human bone marrow derived AML blasts compared to normal bone marrow, with blasts from FLT3-ITD patients displaying lower PP2A activity than WT-FLT3 blasts. Reduced PP2A activity was associated with hyperphosphorylation of the PP2A catalytic subunit, and reduced expression of PP2A structural and regulatory subunits. AML patient blasts were also sensitive to cell death induced by FTY720 and AAL(S), but these compounds had minimal effect on normal CD34+ bone marrow derived monocytes. Finally, PP2A activating compounds displayed synergistic effects when used in combination with tyrosine kinase inhibitors in FLT3-ITD+ cells. A combination of Sorafenib and FTY720 was also synergistic in the presence of a protective stromal microenvironment. Thus combining a PP2A activating compound and a FLT3 inhibitor may be a novel therapeutic approach for treating AML. © 2015 Nixon et al. This is an open access article distributed under the terms of the Creative Commons Attribution License, which permits unrestricted use, distribution, and reproduction in any medium, provided the original author and source are credited. The functional maturation of mammalian spermatozoa is accomplished as the cells descend through the highly specialized microenvironment of the epididymis. This dynamic environment is, in turn, created by the combined secretory and absorptive activity of the surrounding epithelium and displays an extraordinary level of regionalization. Although the regulatory network responsible for spatial coordination of epididymal function remains unclear, recent evidence has highlighted a novel role for the RNA interference pathway. Indeed, as noncanonical regulators of gene expression, small noncoding RNAs have emerged as key elements of the circuitry involved in regulating epididymal function and hence sperm maturation. Herein we have employed next generation sequencing technology to profile the genome-wide miRNA signatures of mouse epididymal cells and characterize segmental patterns of expression. An impressive profile of some 370 miRNAs were detected in the mouse epididymis, with a subset of these specifically identified within the epithelial cells that line the tubule (218). A majority of the latter miRNAs (75%) were detected at equivalent levels along the entire length of the mouse epididymis. We did however identify a small cohort of miRNAs that displayed highly regionalized patterns of expression, including miR-204-5p and miR-196b-5p, which were down- and up-regulated by approximately 39- and 45-fold between the caput/caudal regions, respectively. In addition we identified 79 miRNAs (representing ~ 21% of all miRNAs) as displaying conserved expression within all regions of the mouse, rat and human epididymal tissue. These included 8/14 members of let-7 family of miRNAs that have been widely implicated in the control of androgen signaling and the repression of cell proliferation and oncogenic pathways. Overall these data provide novel insights into the sophistication of the miRNA network that regulates the function of the male reproductive tract. Fat1 is a single pass transmembrane protein and the largest member of the cadherin superfamily. Mouse knockout models and in vitro studies have suggested that Fat1 influences cell polarity and motility. Fat1 is also an upstream regulator of the Hippo pathway, at least in lower vertebrates, and hence may play a role in growth control. In previous work we have established that FAT1 cadherin is initially cleaved by proprotein convertases to form a noncovalently linked heterodimer prior to expression on the cell surface. Such processing was not a requirement for cell surface expression, since melanoma cells expressed both unprocessed FAT1 and the heterodimer on the cell surface. Here we further establish that the site 1 (S1) cleavage step to promote FAT1 heterodimerisation is catalysed by furin and we identify the cleavage site utilised. For a number of other transmembrane receptors that undergo heterodimerisation the S1 processing step is thought to occur constitutively but the functional significance of heterodimerisation has been controversial. It has also been generally unclear as to the significance of receptor heterodimerisation with respect to subsequent post-translational proteolysis that often occurs in transmembrane proteins. Exploiting the partial deficiency of FAT1 processing in melanoma cells together with furin-deficient LoVo cells, we manipulated furin expression to demonstrate that only the heterodimer form of FAT1 is subject to cleavage and subsequent release of the extracellular domain. This work establishes S1-processing as a clear functional prerequisite for ectodomain shedding of FAT1 with general implications for the shedding of other transmembrane receptors. © 2014. Background: ß-Agonists are used for relief and control of asthma symptoms by reversing bronchoconstriction. They might also have anti-inflammatory properties, but the underpinning mechanisms remain poorly understood. Recently, a direct interaction between formoterol and protein phosphatase 2A (PP2A) has been described in¿vitro. Objective: We sought to elucidate the molecular mechanisms by which ß-agonists exert anti-inflammatory effects in allergen-driven and rhinovirus 1B-exacerbated allergic airways disease (AAD). Methods: Mice were sensitized and then challenged with house dust mite to induce AAD while receiving treatment with salmeterol, formoterol, or salbutamol. Mice were also infected with rhinovirus 1B to exacerbate lung inflammation and therapeutically administered salmeterol, dexamethasone, or the PP2A-activating drug (S)-2-amino-4-(4-[heptyloxy]phenyl)-2-methylbutan-1-ol (AAL[S]). Results: Systemic or intranasal administration of salmeterol protected against the development of allergen- and rhinovirus-induced airway hyperreactivity and decreased eosinophil recruitment to the lungs as effectively as dexamethasone. Formoterol and salbutamol also showed anti-inflammatory properties. Salmeterol, but not dexamethasone, increased PP2A activity, which reduced CCL11, CCL20, and CXCL2 expression and reduced levels of phosphorylated extracellular signal-regulated kinase 1 and active nuclear factor ¿B subunits in the lungs. The anti-inflammatory effect of salmeterol was blocked by targeting the catalytic subunit of PP2A with small RNA interference. Conversely, increasing PP2A activity with AAL(S) abolished rhinovirus-induced airway hyperreactivity, eosinophil influx, and CCL11, CCL20, and CXCL2 expression. Salmeterol also directly activated immunoprecipitated PP2A in¿vitro isolated from human airway epithelial cells. Conclusions: Salmeterol exerts anti-inflammatory effects by increasing PP2A activity in AAD and rhinovirus-induced lung inflammation, which might potentially account for some of its clinical benefits. © 2013 American Academy of Allergy, Asthma & Immunology. To support the development of new treatments for DIPG Dr Dun's laboratory in collaboration with A/Prof Zieglers laboratory will perform preclinical testing of two new drugs. 2017 Honours Characterisation of low Δ9-tetrahydrocannabinol containing medicinal cannabis for the treatment of acute myeloid leukaemia. 2015 Honours The Role of Reduced Protein Phosphatase 2A Subunit, PPP2R2A (B55α), Expression in Breast Cancer. Research from UON has revealed a more targeted way of treating an aggressive type of cancer typically prevalent in children.